Tumbling wickets. A high but not out-of-reach asking rate. One specialist batsman at the crease, with only the lower order for company. An atypically dry and grippy pitch provided the conditions for such a situation - usually more common in 50-overs cricket than in T20 - to arise in the first Qualifier of IPL 2016. 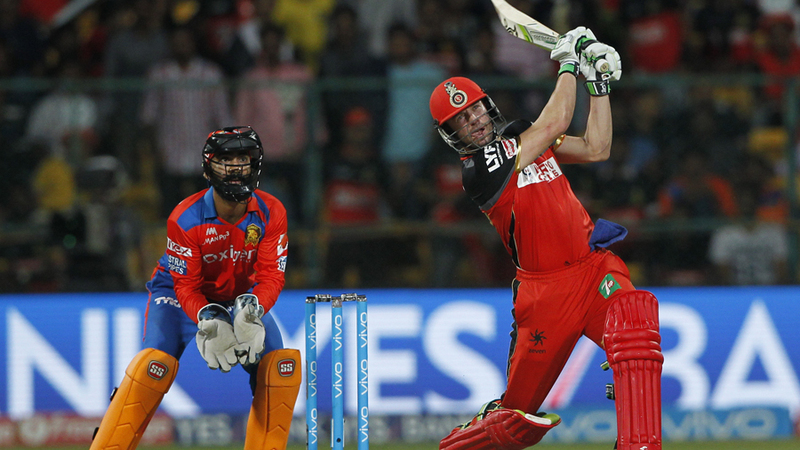 AB de Villiers was the specialist batsman, and when Iqbal Abdulla joined him in the 10th over of Royal Challengers Bangalore's chase of 159, they needed 91 to win off 62 balls with four wickets in hand. The Chinnaswamy surface - still good to bat on, but slower than usual - had torn up the script that the match had been expected to follow. 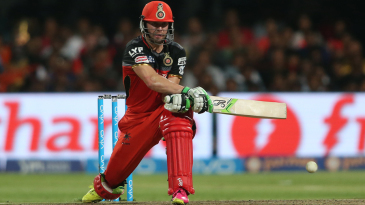 There was no uncontrollable torrent of run scoring from either set of top-order batsmen. Gujarat Lions were 9 for 3 after being sent in. Then in the chase, Royal Challengers lost Virat Kohli for a duck and slipped to 29 for 5. Then, when Ravindra Jadeja had Stuart Binny lbw sweeping - though replays showed ball hitting pad marginally outside off stump - they were 68 for 6.